Rundholz Black Label heavy, stretch jersey, fitted jacket in anthra print colour. Small round collar. 7 button fastening, including collar button. Cut-away style. 2 pockets with finished trim. The rear body and rear sleeves are in double layered, stretch, black jersey. The hems at the front are finished and on the black jersey rear panels, double layered slightly scalloped, rolled raw edged. 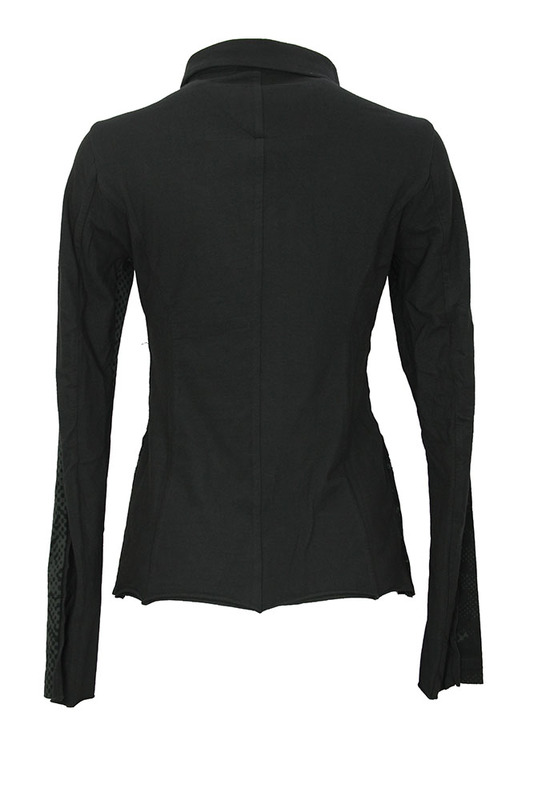 The sleeve cuffs are the same with the rear panels, double layered, rolled raw edges and finished on the front panels. 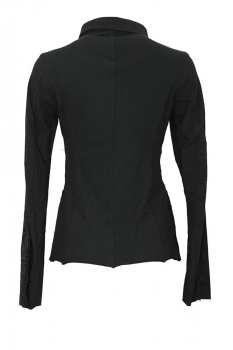 Raw edged seams on sleeves. A beautiful jacket.